How much money would you like to make online? $50-100 a day? How about $300? You don’t really believe it is possible to make a $1000 a day online. Why? Does it sound too sweet to be true? Well, it really takes a time to make THAT kind of money (I mean THOUSANDS). But if you are ready to put your work to it, then you really want to learn what is an online affiliate marketing and how to make money with it. You see, from all types of online businesses, an affiliate marketing is the one that requires minimal initial investments and can be mastered in a matter of months. What, does it sound like a too long to you? Sorry, but since I’m not going to post one of these “Get rich fast!” hoaxes I’m not going to make misleading statements. Let me show you the proven way to make money online and steps you are going to take to make it happened. Most people who are interested in making money online have heard about an affiliate marketing but may not know exactly what it is and how does it work. Affiliate marketing works pretty much as an advertisement business. Affiliate promotes to prospective customers products and services that merchant offers to sell. When a customer switches to merchant’s website and buys these products (or performs other pre- defined action) affiliate earns a commission paid by a merchant. Oh, there’s usually a middleman- affiliate network, that collects offers from millions of merchants and takes care of all payments processing. So, one of the best parts of this type of business- you don’t have to deal with customers! There are no cons, associated with traditional marketing- no phone calls, no boring presentations, no “explanation of benefits”, NO SELLING! This is the type of business that works 24/7/365. Does it sound like “Running on autopilot”? Well, it CAN, but it takes time and works to make it do that, don’t get overexcited. But when it does your life becomes your dream came true. Now, let’s take a look at the process of setting up your successful online affiliate marketing step by step. First, you need to select a niche for your online business website. As it says, a niche is a subset of a market and to make it easier to get good results you need to find your subset. Imagine the traditional market world- the business that specializes on sports nutritions will not sell sports shoes, the coffee shop will not sell eggs and milk. Specialization makes it easier to achieve higher levels of expertise and drive in the type of customers who are interested in particular product or service offered. Therefore, to maximize your marketing business profitability you may want to narrow the list of topics you will concentrate on to the minimum. For example, if you choose sports exercises as your topic try to narrow it to a more specific type of exercises- exercises to lose weight, or exercises to recover after a stroke. Or, if you chose fashion to be your niche, drill down to “Fashions for children 10-13 years old” or “Designer sports sunglasses”. But what’s more important when choosing the niche for your business website is that you must feel comfortable in this niche. Why is that? Well, remember I’ve told you that your success is not going to come fast? (Sorry for reminding). You’ve got to be ready to put in an extensive amount of work initially. What will make you feeling comfortable in your niche? First, the level of expertise, you already possess in this field. If you’re an expert in gardening, you may naturally choose this topic, because you have a lot of value to share with other people and this will keep their interest to your site alive and high. Are you a fitness instructor? Tell me, what would you chose for your niche then. Another factor of comfort can be your genuine interest in a particular topic. Let’s assume you don’t have professional skills of the significant level (although I can hardly think of such type of a person). But you definitely have a passion or a hobby you enjoy. There is something you can share with other people about it. For example, you love computer games and reach high levels. You always know what the latest and greatest games are and you always try them out. This is one of the best niches and writing reviews on newest games can catapult your business high and fast. You can read about the process of choosing the niche for your online business in “How to find great niche markets in 6 easy steps”. If you’re interested in making a stable, long- term income as an online affiliate marketer, you need to create a website or a blog. This website/ blog will serve as your online platform where you will be placing your affiliate links (to direct your prospective customers to a vendor website) and advertise products and services you chose. There are some websites that will let you engage in Pay-Per-Click marketing (PPC) without building your website or a blog through direct link placement. This approach allows you to place ad links on the Internet without posting them to your web page. For example, you can create an ad for a dating website and post it on Facebook, Twitter, Instagram, and other online platforms. When someone clicks on it, they will go directly to this dating site without going to your web page and you’re getting paid. The disadvantage of this approach is, although this is a faster method of making money online, it will not create you a stable income and requires a lot of routine work- once your post on FB is replaced by other, it’s not getting any clicks and you’re not making money. It requires constant reposting on multiple sites in order to make not-so-huge money and these links are changing frequently so you will have to create new ads. This approach is losing its popularity frequently among merchants and affiliates alike. Consider building a website or a blog and watch a short tutorial on how you can build your website in less than a minute absolutely FREE. Affiliate networks are those middlemen mentioned above. They gather merchants offers in their databases and make them available to affiliates. Although they take a cut from what merchant is paying for a sale, they take care of the burden of finding and contracting merchants, payments processing and all necessary technical staff (providing links, tracking, support etc). Joining affiliate networks is a natural way for most marketers and it is not for beginners only. ShareASale. This network offers a lot of choices for bloggers who concentrate on an online marketing topic. Anything related to that, as SEO and webmaster tools, online themes, and website tools are available to promote. CJ affiliate by Conversant, formerly Commission Junction, is very large and reputable network. It offers the widest variety of products and services to promote. Almost every marketer in “non-digital” niche will find a business partner to work with. There are hardly any digital products (e-books, software) available and can be found at different networks. Clickbank is the largest and most popular network for all kinds of digital products. While the selection is huge you better do your research on their product before promoting it, because they don’t do theirs. Some of the products are rather a junk and can do you a bad favor, driving your customers away. But all-in-all, it’s a great network. MoreNiche is the great source of resources for those involved in the health niche. It offers exclusive health brands across multiple sub-niches, such as sports nutrition, weight loss, general health and beauty, and men’s health and great commissions up to 50%. Avangate offers one of the largest collection of software and mobile apps. Affiliates who have selected digital products and services niche will find there a lot of products to promote, such as PC tools, antivirus solutions, games,photo and video editors, and other nice online solutions. Amazon Associates is Amazon’s affiliate program. Being the largest online retailer in the world Amazon provides an enormous variety of products to promote, digital and tangible alike. One of their greatest features is that they will pay an affiliate for ANY product that customer, who you have directed to their site, buys. The main disadvantage is that you will be starting with a pitiful commission of 4%. 4. Drive traffic to your website. Before someone clicks on your affiliate link they need to see it, right? People are not really looking for this link, they generally looking for information that will help them to solve some of their problems or needs. Therefore, you need to drive traffic to your page containing your affiliate link. There are a number of ways to generate website traffic, free and paid as well. Let’s review some of them. One of the easiest free way (and most successful ones) is to create a blog post or article containing information, related to that product or service you advertise. For example, if you’re in the fishing gear niche creating an article with tips on catching a blue marlin will drive an attention of people interested in this type of fishing. The chances that they will be interested in your offer are much higher in this case than when your content and your link are not related. It helps to build your site’s “authority” which makes generating traffic easier over the time. 2. Start email marketing campaign. Collecting email addresses of your page visitors will allow you to send them targeted emails with targeted newsletters containing various offers they may be interested with. How can you make someone to provide you their email addresses? Well, people may willingly give it to you if you offer something in exchange- a newsletter subscription, a free e-book, a free coupon. You may only use email addresses provided to you voluntarily to avoid being charged for stealing personal information. Based on your email list, you create and send targeted emails containing information, that contains some value to your subscribers ( otherwise they will not hesitate to unsubscribe) and include your offers’ links. 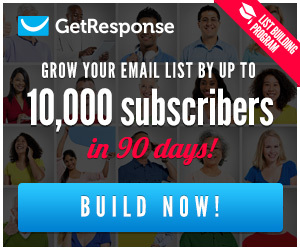 This method provides on of the highest click- through rates. Using Emal Marketing programs with autoresponder make this process much easier. 3. Use all your Social Media channels. Promoting your content on your Social Media channels is another way to promote your affiliate offers that can be used in both free and paid forms. There are hundreds of millions of people using social media as a source of information to answer their questions and solve their needs. If someone in your circles shares information with you, would you regard this information with more trust than when you’ve randomly stumbled upon it? Sure, you would. All social media platforms provide their own advertisement platforms. Using them indiscriminately can become costly, so you need to take a careful approach and learn specifics of each platform before you put all of your hard- earned money in your advertisement campaign. The alternative way is to advertise for free using your personal account, your fan pages, and your groups. The obvious benefit of this approach is that you are saving a lot of money, but it requires a lot of time to build necessary skills and audience to make it work. Click here to learn best ways to use Social Media in online affiliate marketing. 4. Offer to write guest posts for other blogs. This is a great way to expand your audience by posting on another well- established site. You get your blog post exposed to thousands of new readers new readers of sites that already gained their trust, create backlinks to your site and get dozens of new subscribers to your newsletters. When you master your email marketing, this way starts working like an elevator, taking your business to the new level. Although this approach requires a decent level of writing skills, all sites accepting guest writing will provide specific guidelines of what they would like your post to look like. Getting traffic through organic search can be the least expensive yet the most reliable way to get readers attention to your site. This is the way when people are finding your website while searching for information using specific search terms- keywords. Besides of the fact that this is a free way of getting traffic, your site visitors who have found your site in search engine results are already interested in the subject your content keyword is about. It is crucial that you use keywords that will allow your content to rank high in search engine’s results. According to statistics the top three results you see on Google (or Bing, or Yahoo) search page are getting up to 70% of clicks and 90% of people don’t go beyond the first search result page. The higher and more frequently your site appears in search results, the more visitors (and more prospective customers) you will get from search engine’s users. Finding top- ranking keywords is a part of SEO process. You don’t really need to become an SEO expert to be a successful marketer but you definitely need to learn some skills that will allow you to create pages that will appear at the top of search results. To learn the keyword selection process in more details you can check my other article “What is keyword research for SEO”. 6. Learn how it works. As I’ve said above, affiliate marketing is the easiest kind of online business. All you need to do is to build a website and create quality content to drive traffic to your affiliate links. But even easiest things require you to master your skills to get the maximum effect out of your efforts. At the very beginning of this article, I’ve mentioned affiliate income figures. Some affiliates make pennies per day, some make a $100 per day, and some (like Pat Flynn) make a few thousand (yes, per single day). Why is this happening, you will ask? “Hey, you’ve just said it’s the easiest thing!”. Mastering affiliate marketing doesn’t require some special qualities you must be born with. Even careers like sport depend on hard systematic training. Creating your new lifestyle, the lifestyle where you’re in control of your schedule and where the limit of your income depends on not how much time you spend at work, but how far you’re ready to go on improving your skills, starts with your willingness to learn and to put your knowledge to work. There are TONS of priceless information on how to start and develop your affiliate marketing business on the Web. there is so much of it, that it’s difficult to sort it out. When I was starting my online career I was absorbing information from most successful marketers, like Pat Flynn, Neil Patel, Chris Farrell, and many others. These were people, who have achieved results many are dreaming about- great passive income, financial freedom, independent lifestyle. But somehow I wasn’t able to make their bits of advice work for me as I’ve hoped! It was because every one of them has his own way to implement the strategy of success. Being put together, their advices weren’t working. It took me a while to realize that I need the complete guide to affiliate marketing- step by step from the beginning. I’ve tried a number of affiliate marketing training programs promising me to teach me to make millions in no time but none of them provided adequate results. At the time I was pretty much stuck and confused I’ve come across Wealthy Affiliate Online University and joined it. It was exactly what I was looking for. I recommend you to check My Wealthy Affiliate introduction for more detailed information on how you can join Wealthy Affiliate absolutely free. Although it’s the easiest type of online business, don’t expect it to ripen overnight- it will require significant efforts from you. But real people examples can prove to you that you can do it. Don’t take just my word for it- see what other members say! I hope I was able to answer these two questions to you- What is an online affiliate marketing and How to make money with it. If I have missed something- please, leave your questions and comments in the “Comments” section below this article.